My son and I took to the Shenandoah mountains to climb the short trail to Hawksbill mountain… the highest spot in the national park. 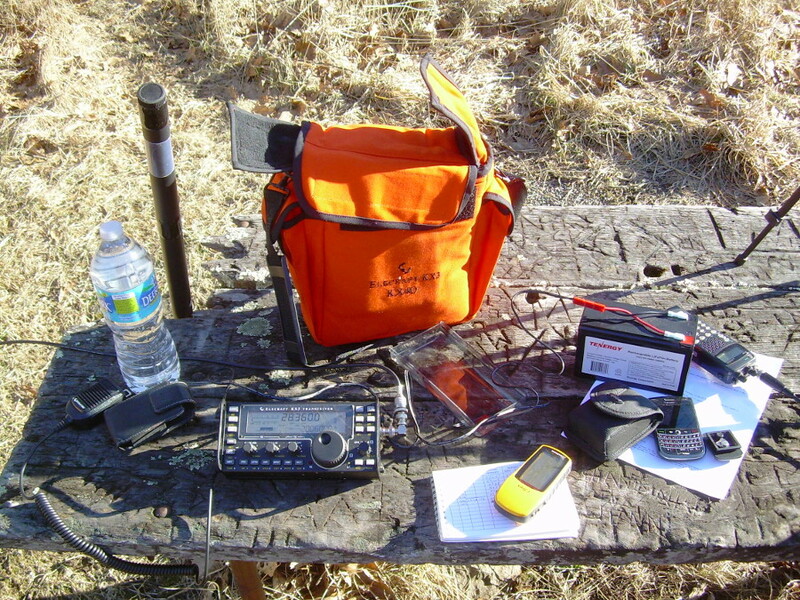 Our goal was to activate the peak for the Summits on the Air amateur radio program. Using very minimal gear, at least in item count, we successfully made twenty-three SSB contacts on three amateur radio bands: 40m, 20m and 10m. 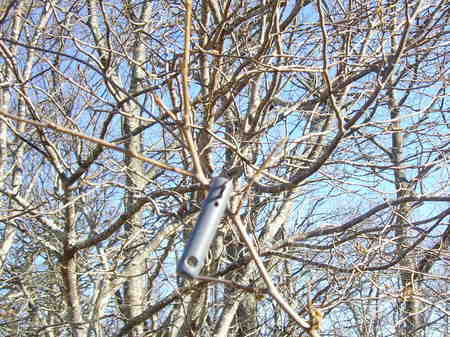 I was quite pleased with the performance of an LNR Precision (formally PAR) antenna I simply tossed into the branches of a nearby tree. For those interested in that battery, here is an article about it. 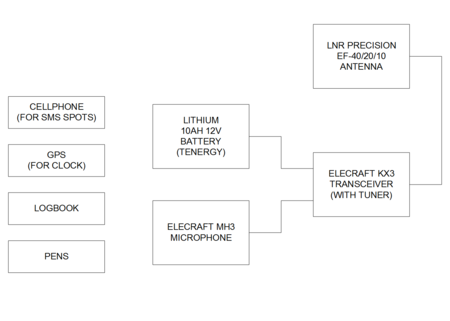 The antenna is the three band end fed make/model LNR Precision EF-10/20/40 reviewed elsewhere on this site including some test data. I’m usually a purest with antennas, but wind chill mitigates lofty goals. While I did bring a portable pole, in the end I simply tossed the feed point of the antenna over a big branch and circle-whipped the rest of it into branches. Trees are awesome aren’t they. 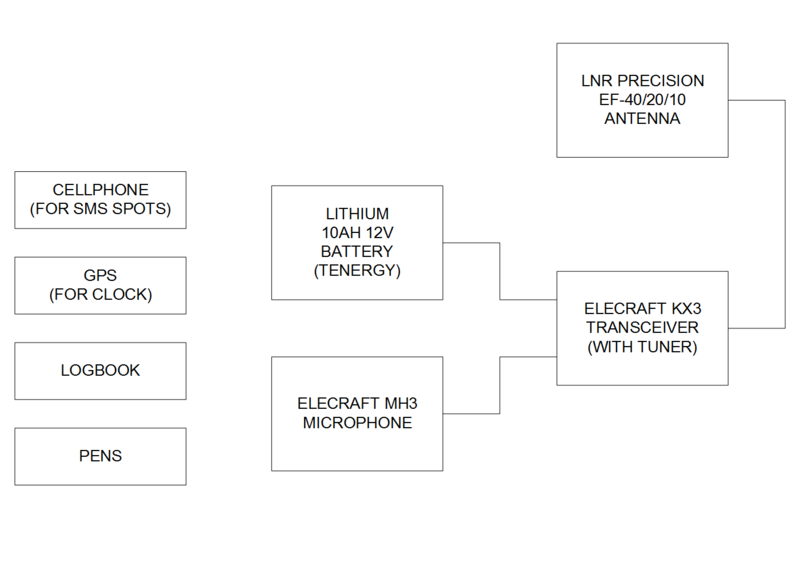 Note I’ve committed the most heinous of electromagnetic crimes by wrapping the high impedance end of an antenna aerial around a juicy dielectric. What would happen? The wind chill didn’t allow me to dwell on such things. The rest of the aerial sat loosely in small limbs which I thought would not be much trouble. Here we see the coil draped about 7 feet above ground. 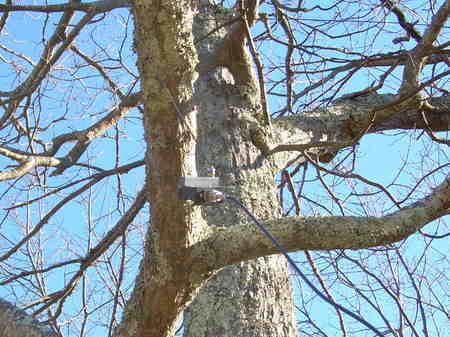 The insulator promptly “hooked” and secured the aerial in the trees. All in all, the LNR wire went up in about two minutes resulting in a reasonably flat antenna about 7 to 10 feet above ground level. 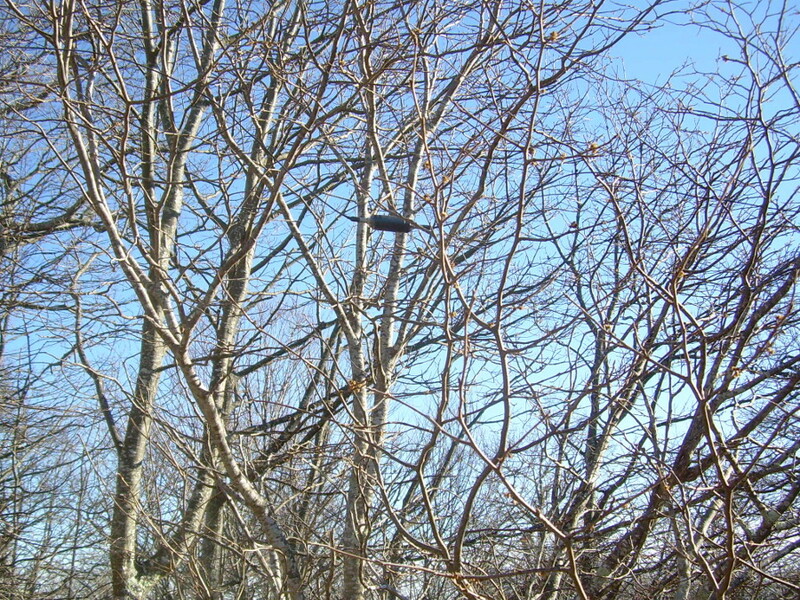 Note, no extra strings or ropes are anywhere to be found… as I forgot them! 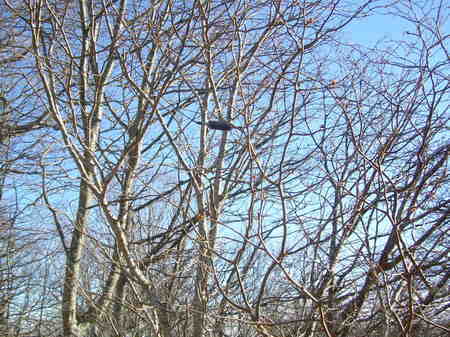 Fortunately, this antenna nestled nicely into the low lying scrubby trees. The SWR was under 3:1 always and often under 2:1. The antenna is a bit long on 40m (I never trimmed it like I should have after purchasing it – oops). Despite this, I used the KX3 tuner each time to trim things up and just not worry about it further. …and you have folks waiting to contact you in minutes. I am ecstatic how well this works. Here we are making a total 23 contacts with the first seven on 40m, then some on 20m and finally two contacts on 10m. For what this was, I am happy with the outcome of this outing. This is my first HF activation of SOTA. 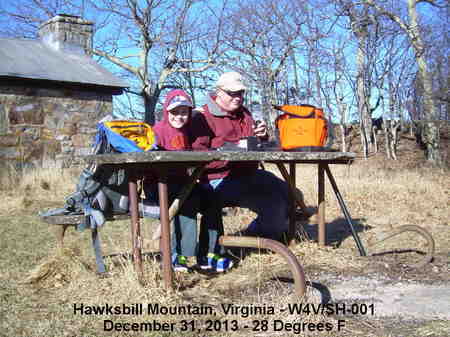 The first activation on VHF was on Stony Man in November 2012. It was cold then as well. For the most part I heard everyone better than they heard me and this makes sense. I’m sure the antenna deployment could be better, but the point to make here is it was “good enough” to seal the deal and make the required contacts before the wind picked up and chilled us even more. Hurrah… On to the next SOTA outing. LiFePO4 - The New Normal?